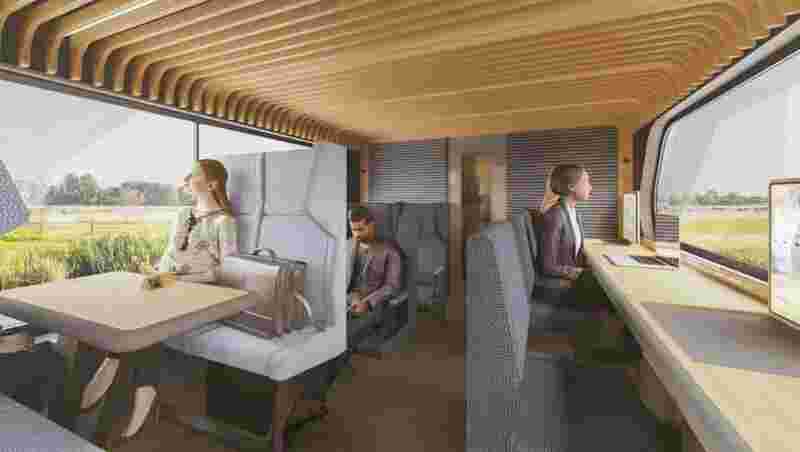 In partnership with NS, Mecanoo and Gispen have outlined train passengers’ activities. Based on this study, six activity zones were marked, ranging from open and social to private and concentrated. These activity zones are distinguished by combinations of twelve furniture modules. 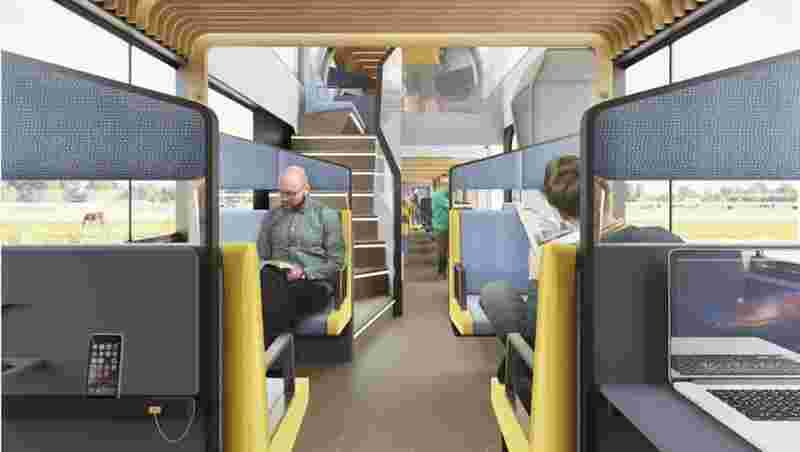 The modules include both current and new train interior elements and configurations. 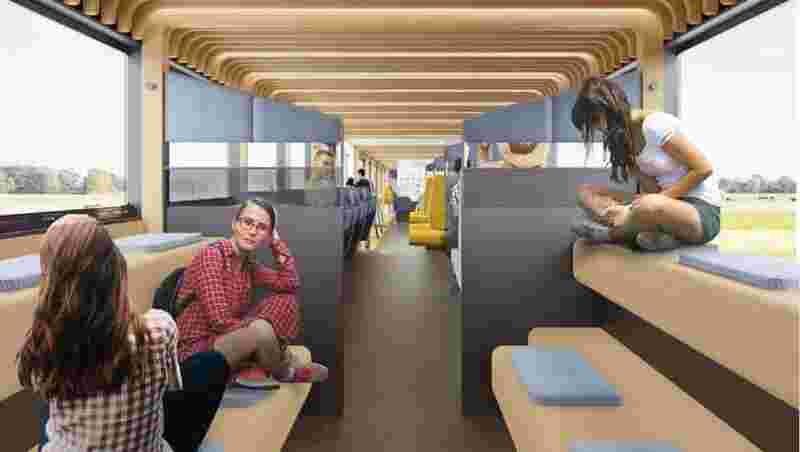 The train will have various seating, 'stit' (sit-stand or leaning) and standing places where every passenger can find comfort depending on their activity, travel time, group size, luggage, and required facilities. With Gispen’s experience in furniture making and with Mecanoo’s experience in the architectural and interior design of museums, libraries, schools, and offices these qualities coincide perfectly. The Virtual Experience Lab containing the vision of the train interior will be at Ketelhuisplein in Eindhoven, the heart of the DDW festival started from 20 October. 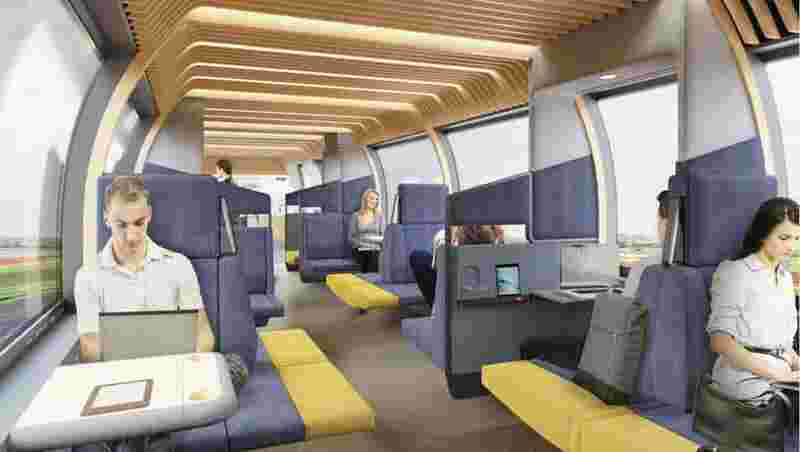 It is a full-scale design where you can use an entirely new virtual approach to experience the vision of the new train interior. You can buy an attractively-priced return journey plus entry ticket for €28 ($31.98) from the NS rail discount shop, Spoordeelwinkel. So take the train and one of the extra public transport bicycles provided especially for DDW from Eindhoven station. With the flexible 12-module furniture system, a suitable combination can be made for every type of train for an optimal travel environment. The elements have a completely circular production model. The fabrics are reusable and the modules can be easily disassembled and are interchangeable. The NS thus flexibly accommodates travelers’ needs and is prepared for the sustainable mobility of the future. 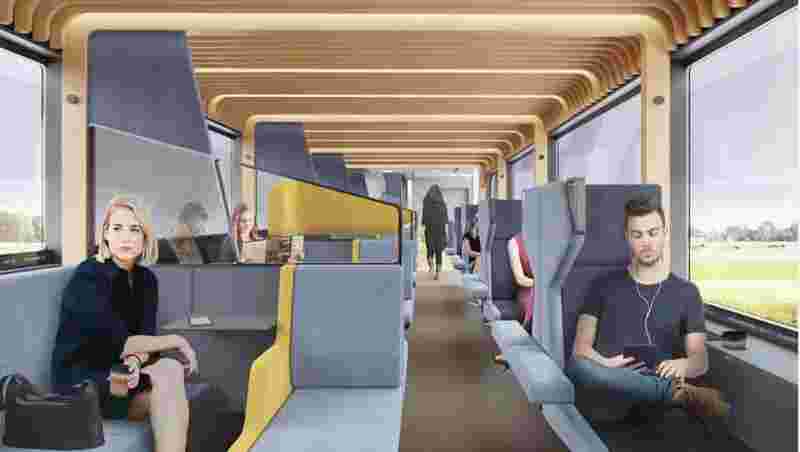 “What innovation means for NS is that we ask partners who are leaders in their fields to take a fresh look at our customers’ everyday train journeys and at what the best layout for the train is. How can we create more room at peak times and how can we enhance the comfort and overall experience during the rest of the day? I find the results of our cooperation highly inspirational. 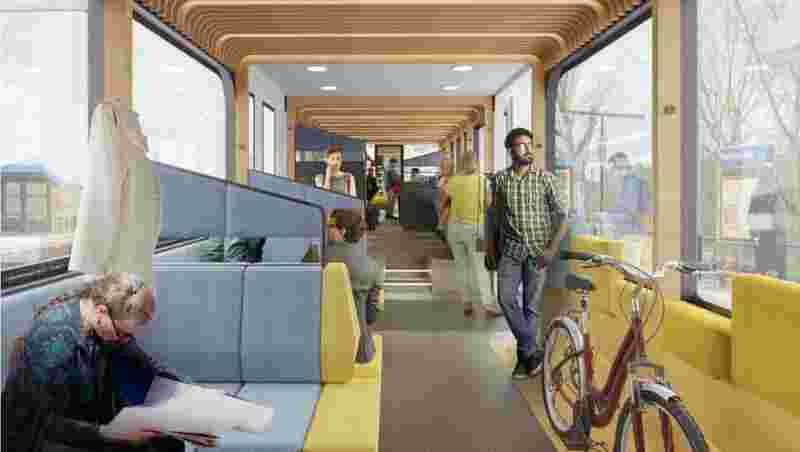 The train of the future will let you get more out of your day, for example, because you are able to work undisturbed. It will turn journey time into working time. Or time for reading, chatting or chilling out. The train makes it all possible – it’s the passengers who decide” Tjalling Smit, NS Executive Board member. “Train stations are not only calling cards for the Netherlands that huge flows of people go past every day, but they are also public spaces that have to be laid out with great care. 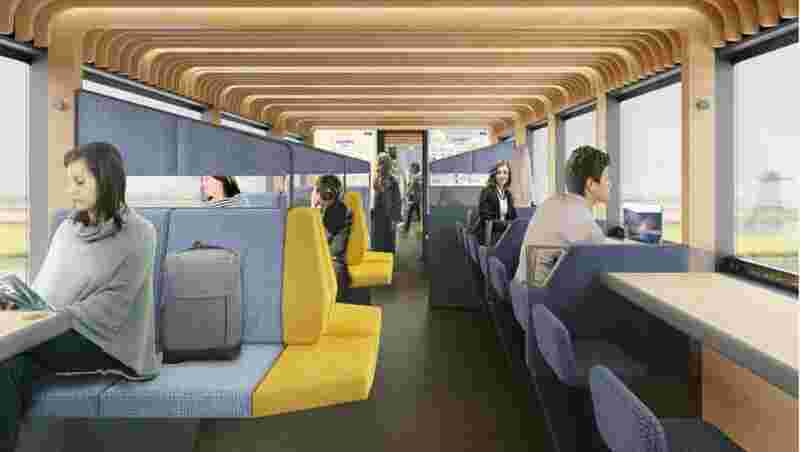 The train journey deserves that same level of care and attention – you should design it as a public space where you would be happy to stay, as an activity-related space that interacts with the sensory perceptions” said Francine Houben, Creative Director at Mecanoo. “Developing circular-economy products lets us extend lifespans and avoid waste. In trains, in particular, it’s extremely important to allow materials to live again by being reused” said Rick Veenendaal, Circular Economy Manager at Gispen.